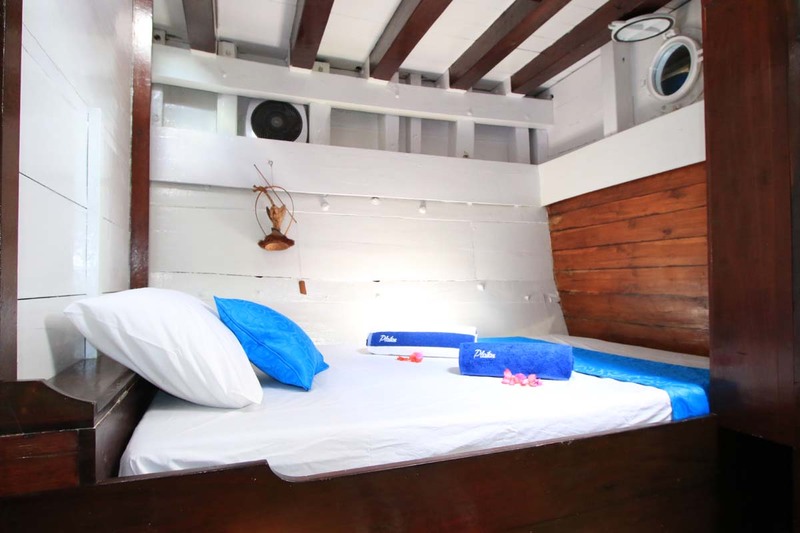 KLM Tidak Apa’Pa is one of the best-value scuba diving liveaboards in Indonesia. 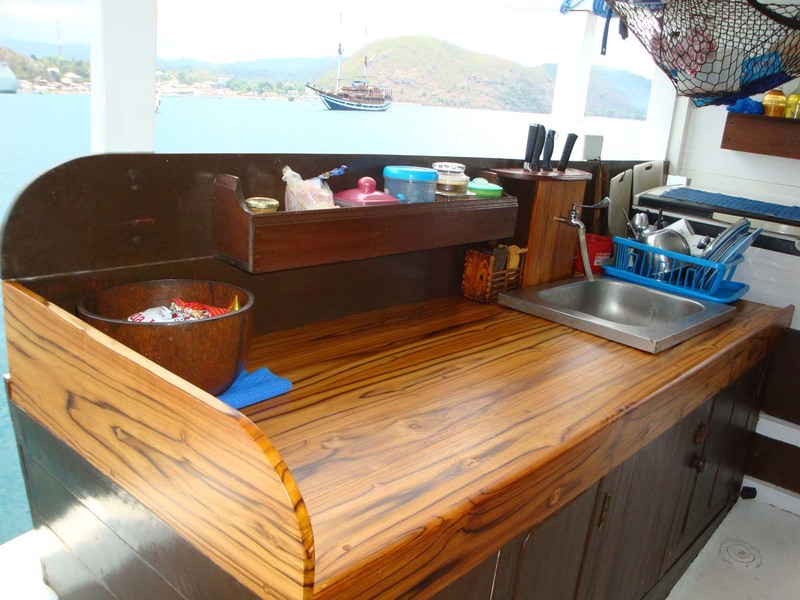 The boat is owned and run by a professional and experienced team who focus on customer service, safety & the most-enjoyable liveaboard diving trips in Indonesia. 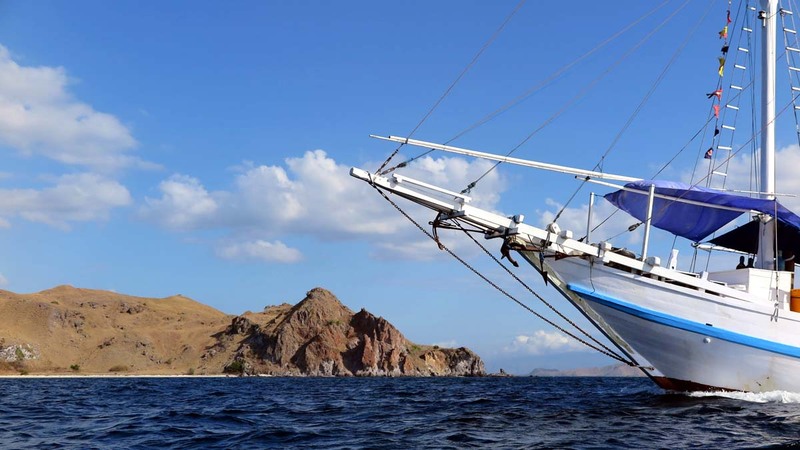 Throughout the year Tidak Apa’Pa sails around the country’s thousands of islands. 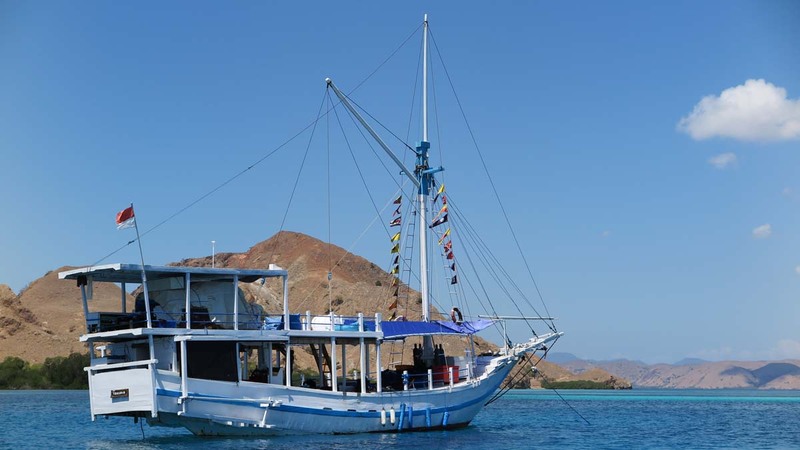 During the summer months the trips are at the world-famous Komodo Islands National Park, and then when the seasons change the boat goes to Raja Ampat. Between seasons, crossing trips are also available. Built in South Sulawesi in 2001, Tidak Apa’Pa comes from the home of the world’s best Phinisi craftsmen. 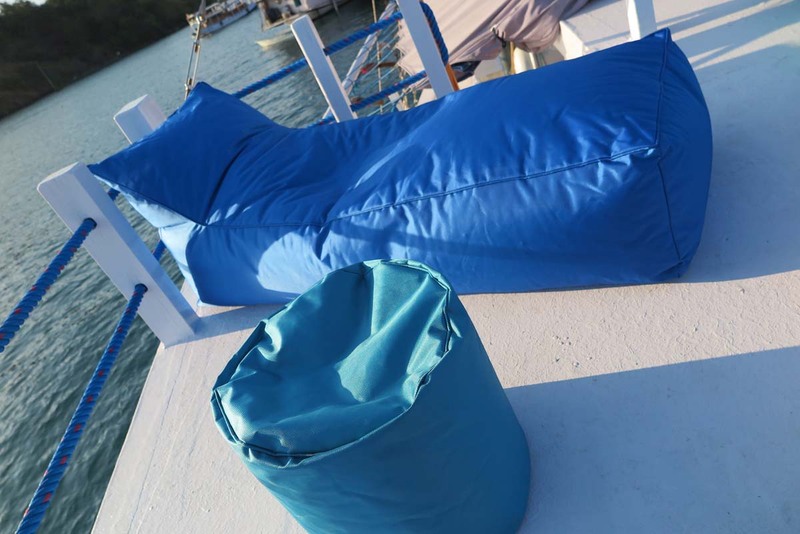 The boat is 20 metres long and 5.5 metres wide, ensuring stability & safety at sea, and plenty of space on board for up to 8 lucky guests. 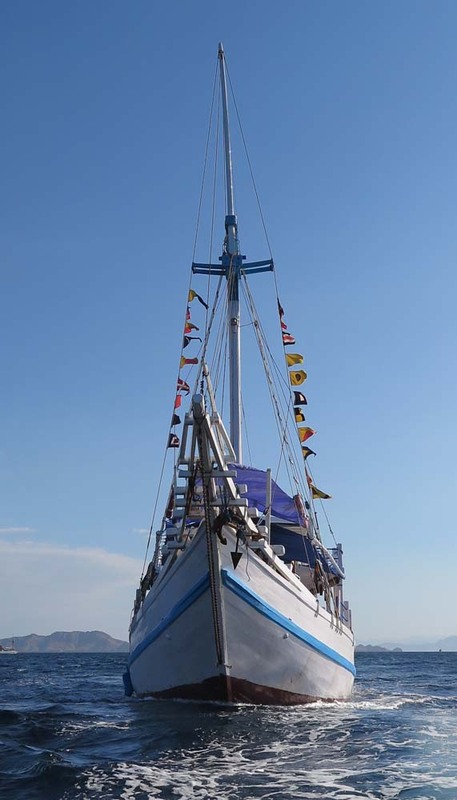 Tidak Apa’Pa can sail on the wind with her masts & sails, or rely on the Cummins marine engine. The style is traditional, but the features & facilities are very much 21st century, in particular safety & navigation. 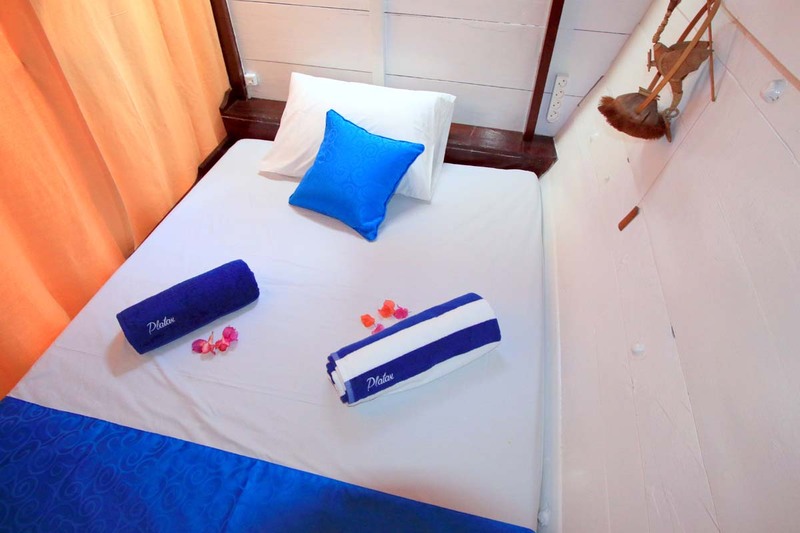 Tidak Apa’Pa is designed to accommodate up to eight guests in four double-bed cabins, thus making it ideal for couples. But solo divers & friends are also very welcome. 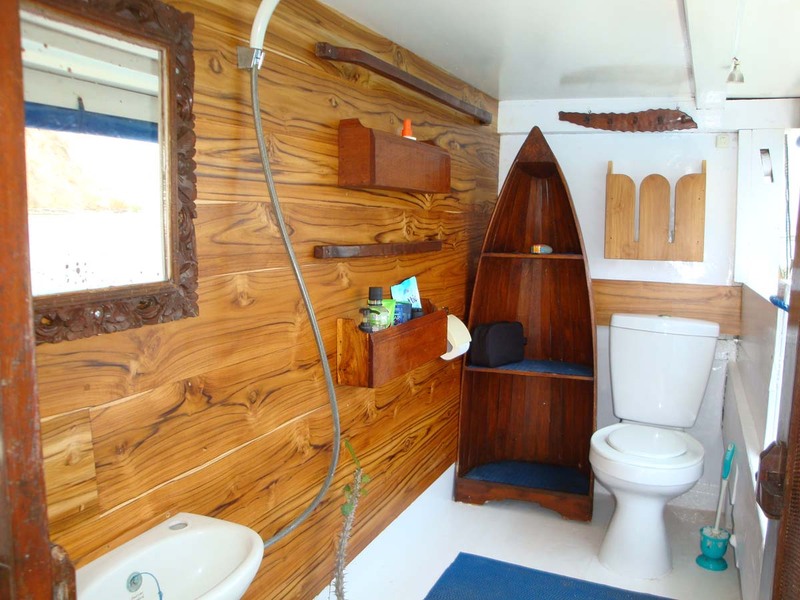 The four cabins share a unique guest bathroom that (like many traditional Indonesian resorts) is outside. 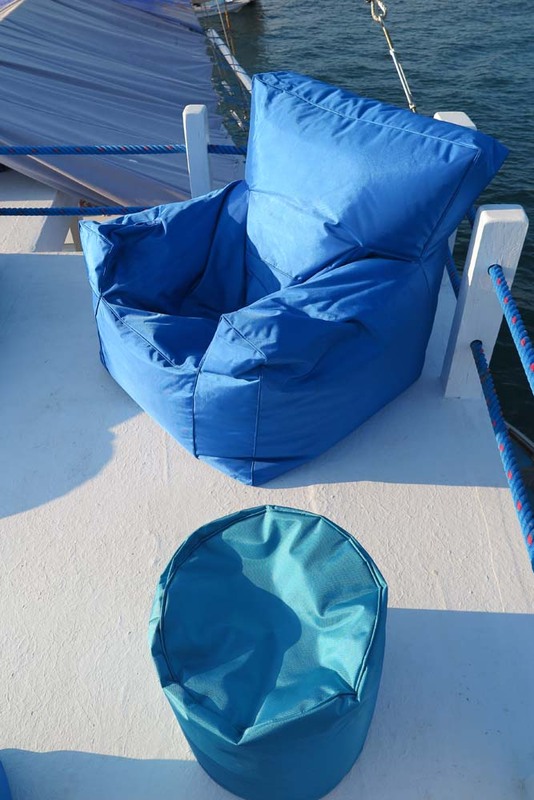 While guests’ privacy is ensured by the location & design, the view is unbeatable! In additioon to fun & friendly regular scuba diving cruises, Rebreather diving is possible on Tidak Apa'Pa. 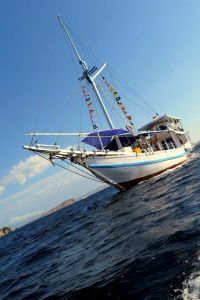 It's the only IANTD-certified liveaboard in Indonesia and Rebreather divers are more than welcome! 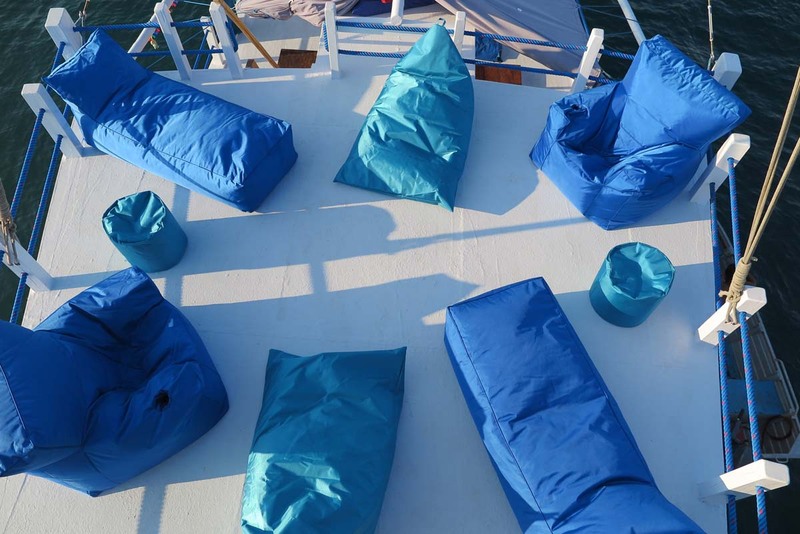 And don't forget that the boat is nearly always available for full charter for groups of up to eight. 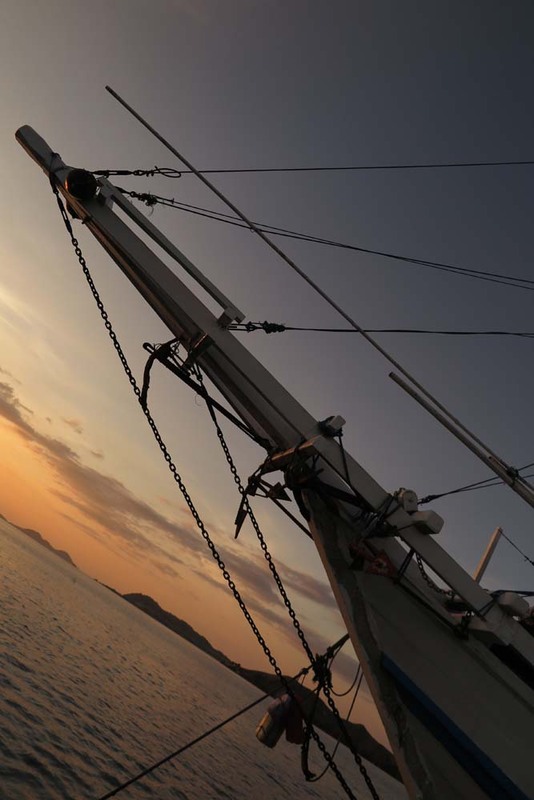 Charter trips allow for a bit more flexibility in the itinerary, but need to depart from and return to the scheduled port. Depending on the time of the year, Tidak Apa’Pa is always at the best location for diving in Indonesia. 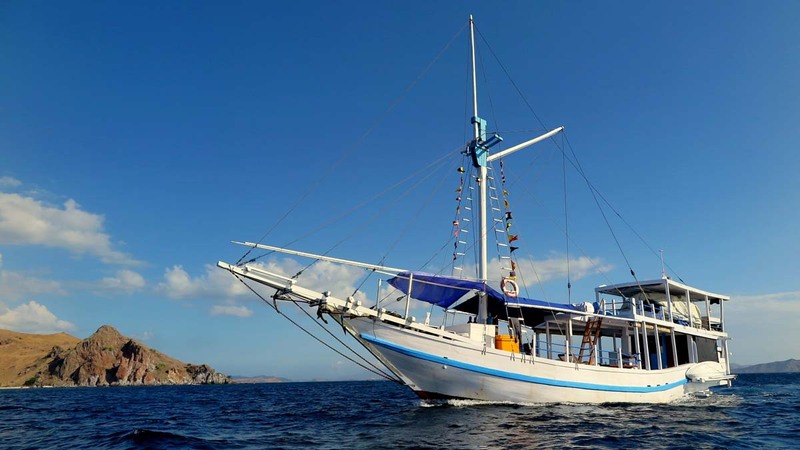 From April to October you can enjoy the best of diving at The Komodo Islands, and from December to March the boat is at the most diverse marine park in the world: Raja Ampat. 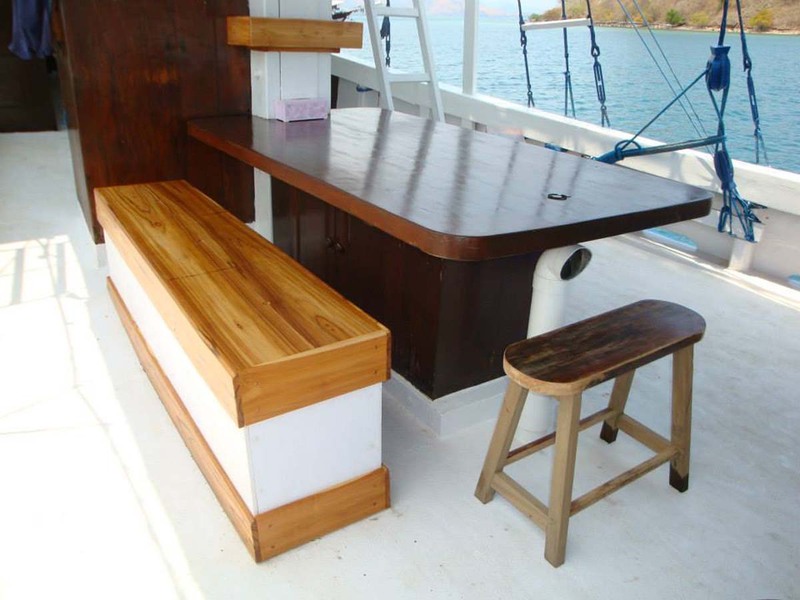 Between Komodo & Raja, Tidak Apa’Pa visits south Ambon/Banda and sometimes South Sulawesi. 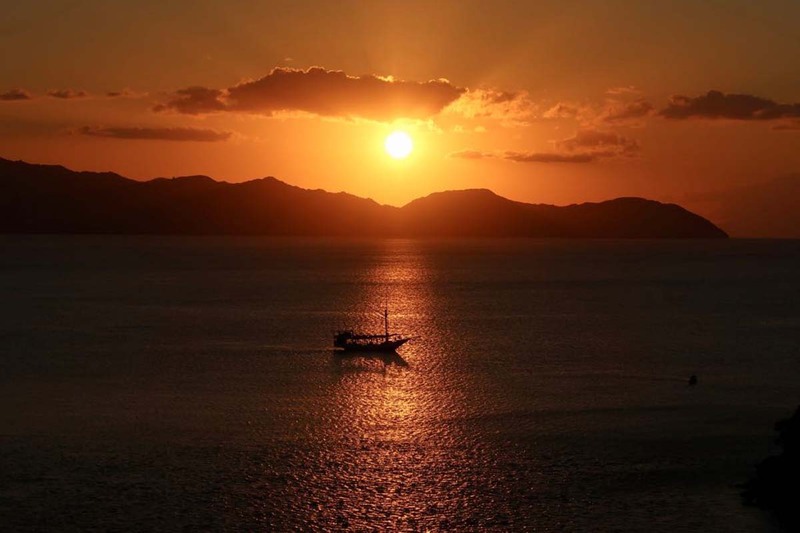 Whichever trip you choose on this wonderful boat, you’re guaranteed to have the trip of a lifetime. 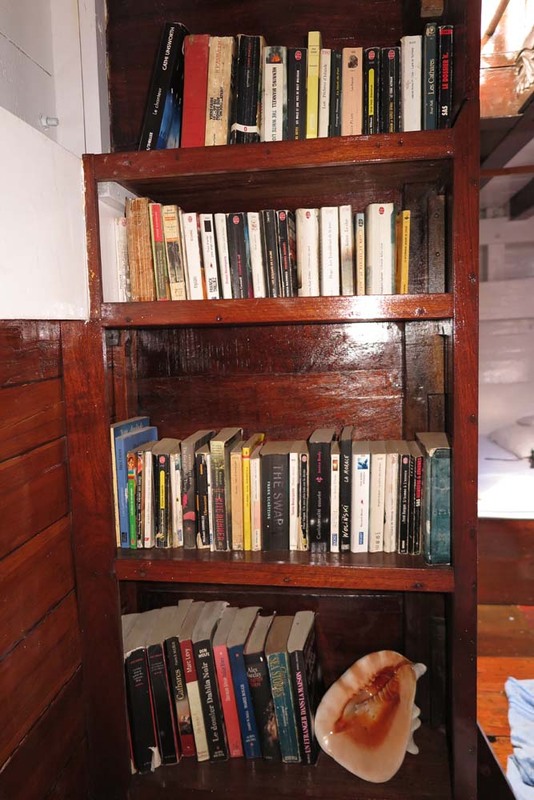 There are several itineraries on Tidak Apa’Pa. 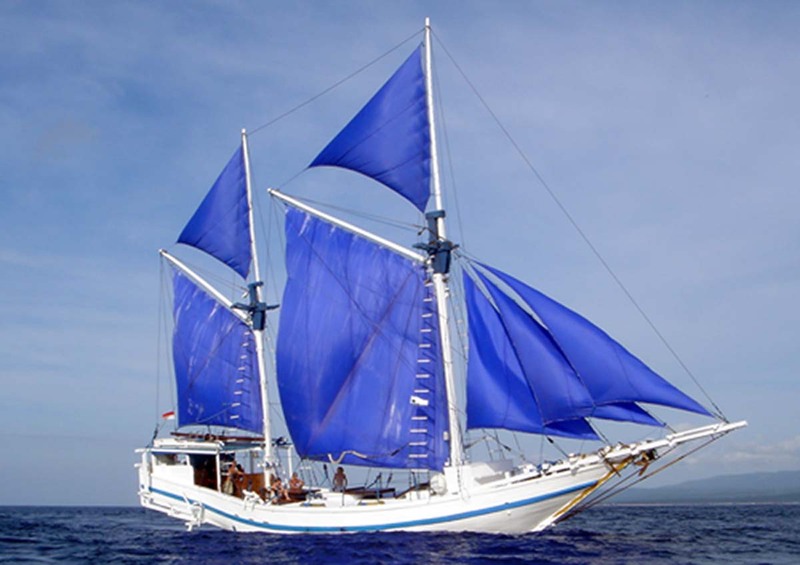 Please note that there are two different 10D/10N Raja Ampat trips. 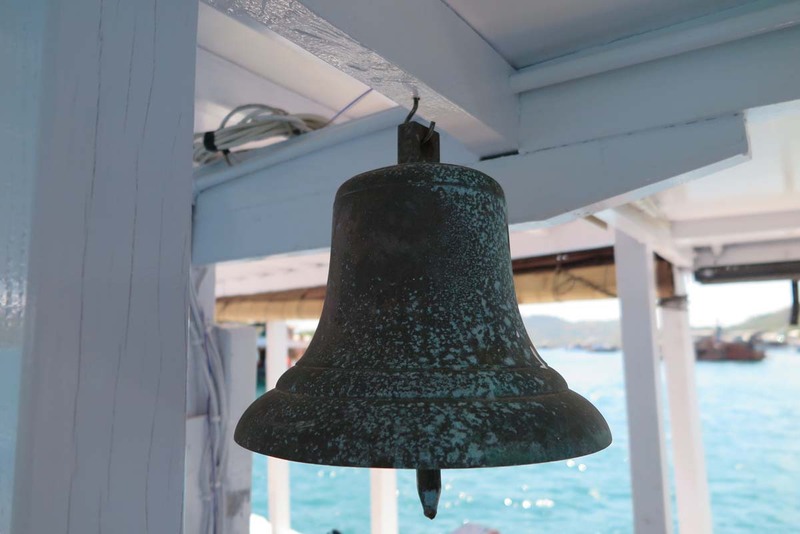 But our system doesn't enable us to identify them individually because the boat's scedule changes from time to time. If your trip goes north, you will get more dives (up to 34) than trips to the south (30). 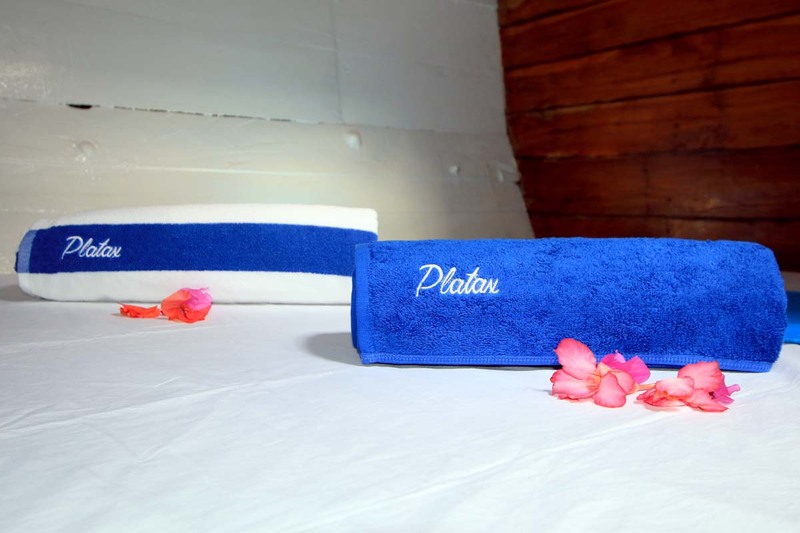 Please contact us to find out the latest plan for your preferred trip. Engines: Cummins 6BT 5.9 Marine Diesel 210 Hp. Compressor: Alkin Cat 9, Capacity 240 Liters/Min. Tenders: Aluminium 4.20 M Yamaha 40 Hp And 25 Hp (spare). Water Capacity: 4 X 2500 Liters. The Tidak Apa’Pa team collect guests from local hotels or the nearest airport for free on departure day. At the end of each trip the same transfers are available. Marine park and port fees are paid on board. The amount depends on each trip’s length and itinerary.